Nendoroid Faris NyanNyan is Previewed by Mikatan and Available for Pre-Order; Makise Kurisu Gets a Re-release! 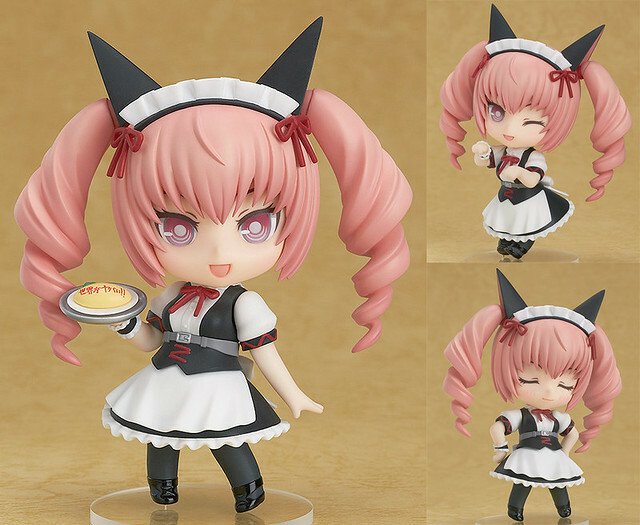 Yep, the lovely maid working at the maid cafe May Queen Nyan-Nyan 2 from the anime series Steins;Gate a.k.a Nendoroid Faris NyanNyan has finally arrived in Nendoroid form. The figurehead maid at May Queen Nyan-nyan 2! The ‘hypothetical science adventure’ game Steins;Gate has just recently had a sequel and movie version released, and from that series comes a Nendoroid of lab member number 007 – Faris Nyannyan! She comes with three different expressions including a smiling face, a winking face and a smug expression. Optional parts include a tray as well as the omlette rice dish with ‘The world is in trouble’ written on it in ketchup. A set of ‘Rai-Net Access Battlers’ cards are also included in Nendoroid size. Plus alternate parts are included allowing you to pose her in her trademark ‘Nyannyan’ pose! Anyway, she is priced at 3800 Yen and scheduled for October release, along with …. The third release of the tsundere genius from Steins;Gate! The ‘hypothetical science adventure’ game Steins;Gate has just recently had a sequel and movie version released, and now Nendoroid Kurisu Makise is being rereleased too! You can recreate a number of the poses from the game by using the included upset and embarrassed expressions. A few items from the game such as the documents in a paper folder, and her cell phone are also included as optional parts. 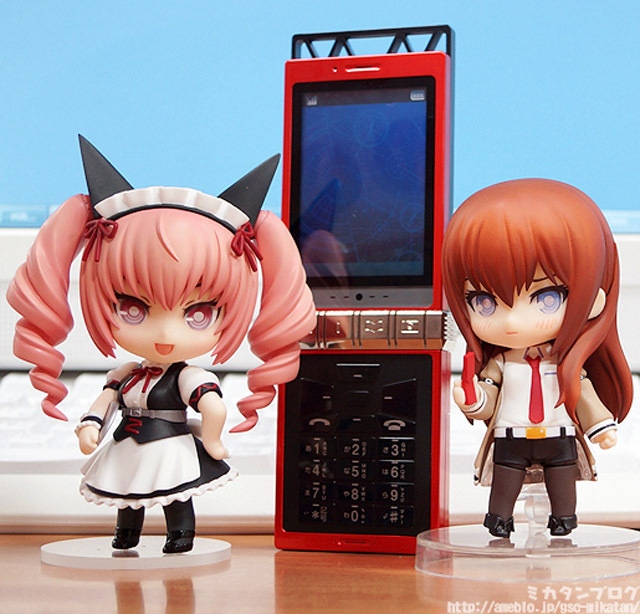 Enjoy recreating the suspenseful atmosphere of Steins;Gate in Nendoroid scale! Similar to the previous releases, she is priced at 3000 Yen and scheduled for September release. This entry was posted in News and tagged faris nyan nyan, makise kurisu, nendoroid, steins gate.